Businesswoman Mahisha Dellinger survived the streets of South Sacramento, turning a creative idea into a 50-million-dollar hair company, Curls, a family of organic hair care products targeted for women embracing their natural textures. Tapped by Oprah Winfrey, in “Mind Your Business with Mahishi,” she is now taking on a whole new challenge: helping other female entrepreneurs live out their dreams and take their small businesses to greater heights. In each standalone episode, Mahisha meets with entrepreneurs and guides them with inspiration and a little bit of tough love. She tests their passion and determination while demanding that they give it their all – just like she did – in order to reach their goals. The show has been very successful for these budding Entrepreneurs! In a previous episode, Mahisha scheduled a retail meeting between Macy’s and one of the business owners on the show. The meeting turned out to be AMAZING and now their products are in Macy’s! 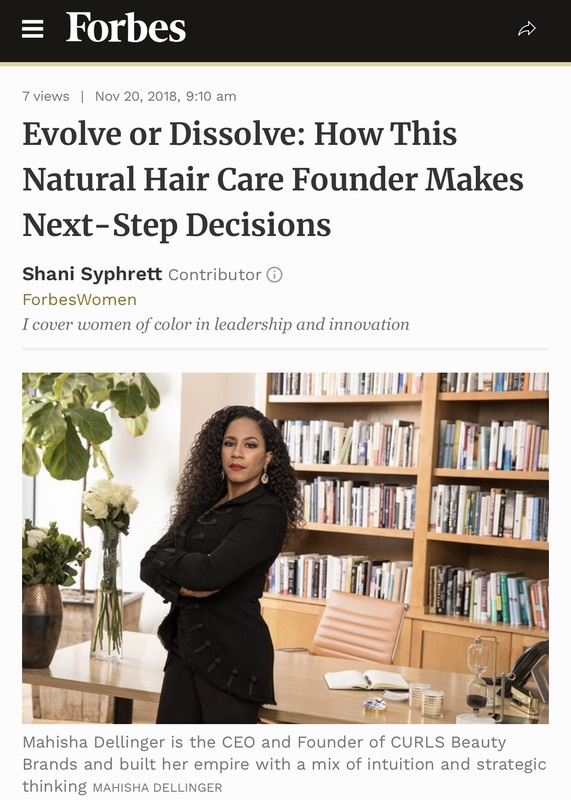 Mahisha’s dedication and commitment to her own company has paid off and CURLS LLC, has become one of the leading natural hair care companies in the country. You can find the products available in Target, Sally Beauty, CVS, Walgreen’s, etc. Mahisha's journey took her from the projects to the penthouse. Currently, Mahisha has taken her show on the road and started an Academy for budding women Entrepreneurs. We would like the opportunity for you to interview Mahisha about small business tips and how to take your business to the next level, New Year goals and lessons in the basics of business management.